The Chemistry Department offers a variety of undergraduate awards, fellowships and scholarships ranging from $100 - $10,000+. Eligibility and distribution is based on each scholarship's and/or fellowship's criteria. For more information on these opportunities, please see below. For past recipeints, please visit the Graduation Celebration page and view the annual programs. Given to the undergraduate (or graduate) student who shows the most exemplary professional attitude. Such an individual is enthusiastic about his/her research, attends departmental seminars, and is responsible in the performance of duties outside of the research area. Honors an undergraduate student for outstanding academic performance. Given to the student(s) with the highest exam average in CHE 105 and 107. Honors an undergraduate student for outstanding academic performance. Given in recognition of outstanding service to the department. This award is open to all undergraduates, regardless of class. Honor an undergraduate student for outstanding academic performance and leadership. Designed to recognize a senior Chemistry major who has demonstrated scholastic achievement, leadership ability and character. Honors and awards 1-2 first-year Chemistry major(s) who have demonstrated outstanding academic achievement in Chemistry. Honors Nancy J Stafford, a 2006 retiree with 31 years of distinguished service to the department. Rewards a senior Chemistry major who demonstrates scholarly achievement, leadership ability, and excellent character. Honors a senior Chemistry major who is most outstanding in the qualities of leadership and service. The Wilbur L. Price Scholarship(s) are designated for incoming first-year Chemistry majors who are enrolled at the University in the fall semester. They must be residents of Kentucky and graduates of Kentucky high schools. For consideration, an applicant must demonstrate the potential for academic excellence and evidence of financial need. GPA of 3.3 or higher is expected for renewal for the second semester. The number of awards depends on the availability of funds. For more information about Wilbur L. Price, click here. The Charles W. Hammond Scholarship is available to students having attended high school in Lewis County, Kentucky, or contiguous counties (KY: Mason, Fleming, Rowan, Carter, and Greenup; OH: Adams and Scioto). Such students must carry a high school GPA of no less than 2.0 upon regular admittance to the University of Kentucky. Priority will be given to students majoring in Chemistry. The Paul G. Sears Scholarship is available for an undergraduate chemistry major who has demonstrated potential for academic excellence. For more information about Dr. Sears and this scholarship, please visit the following links. The Dr. Hume and Ellen Towle Bedford Scholarship is available for a junior (or above) Chemistry major who is an active member of the UK Student Affiliates of the American Chemical Society (ChemCats). A cumulative GPA of at least 2.5, demonstrated potential for academic success, and significant financial need are required. The recipient must be a U.S. citizen and resident of Kentucky and must not be receiving more than one additional scholarship during the academic year. The Thomas B. Nantz Memorial Scholarship is for one semester of tuition and is designated for B.S. Chemistry majors entering their junior or senior year. The potential for academic excellence and evidence of financial need must be demonstrated. For more information on Thomas Nantz, please visit the following links. The Robert M. Boyer Memorial Scholarship is available for an undergraduate Chemistry major who has demonstrated potential for academic excellence and evidence of financial need. The Paul L. Corio Scholarship is available to junior or senior Chemistry major demonstrated potential for academic excellence. The David W. and Eloise C. Young Scholarship is available for an undergraduate Chemistry major. The ACS-Hach Land Grant Undergraduate Scholarship is providing funds for scholarship(s) to chemistry majors who are committed to becoming a high school chemistry teacher. Applicants must have a GPA of at least 3.0, be enrolled full-time, and be US citizens or permanent residents. 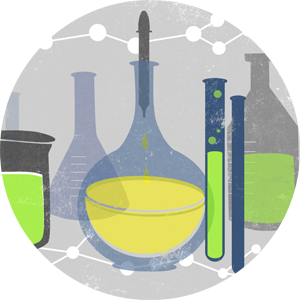 Chemistry majors at all levels are eligible. ACS will request from any recipient a one-page statement of interest in high school teaching as well as good faith statements of career progress, post-graduation. For more information on the ACS-Hach Programs, click here. For more information about the ACS-Hach Land Grant Undergraduate Scholarship, click here. The Stephen H. Cook Memorial Fellowship is given to junior or senior Chemistry major demonstrating academic excellence and financial need for research during the eight-week summer school session. This fellowship will require a Chemistry Department faculty research mentor. The Mark and Ruth Luckens Graduate Fellowship(s) in Toxicology are designated for graduating undergraduate seniors who plan to pursue graduate studies in Chemistry at the University of Kentucky and who have an interest in toxicology OR Chemistry graduate students in their first two years of study who have not yet chosen their research topic.